Sunset on a beach in Tangalle, Sri Lanka. The insider advice on this page is from Wendy’s Trusted Travel Expert for Sri Lanka: Miguel Cunat of Sri Lanka in Style. 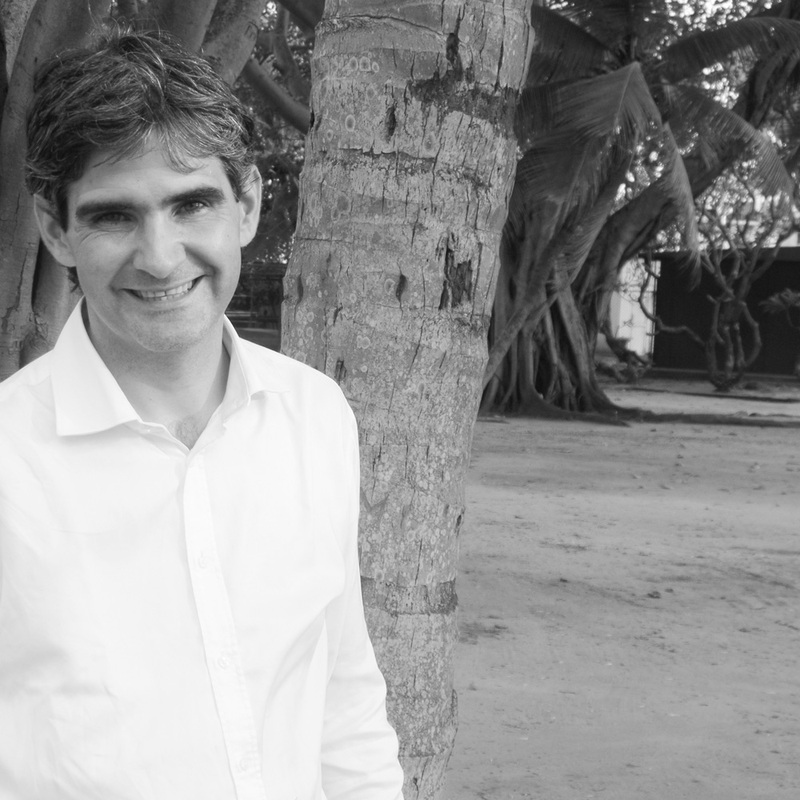 Miguel, who has been living with his family in Sri Lanka for the past 12 years, founded his boutique travel company to provide visitors with insightful, engaging experiences in this logistically tricky but enchanting country. He and his delightful deputy, Andrea Goonesekera, who was born and raised in Sri Lanka but has lived in Canada twice, plan tailor-made itineraries for travelers from around the world, designing each one based on the company philosophy of “traveling in style.” For Miguel that means getting off the beaten path without sacrificing comfort or charm, and meeting the colorful local characters who provide a real sense of place (authors, architects, even the Leopard Man). His goal is for his clients to return from their trip “feeling rested, relaxed and pampered, if that’s what you seek, but also fulfilled and stimulated.” Having watched Sri Lanka undergo so many changes in recent years—since the country’s civil war ended in 2009, there’s been tremendous economic growth and a steady rise in tourism—Miguel is deeply committed to conserving the island’s natural and archaeological treasures, which brings to bear in every recommendation he makes, from the hotels he chooses to the strategies he employs for keeping his clients far from the tour-bus crowd. Why House in Galle. Set inland from the beach in Thaple and run by a delightful manager who will spoil you rotten, Why House offers much better value than any of the hotels on the beach itself. From the picture-perfect images of the tropical seaside south of Galle, one could easily be forgiven for thinking the beaches are entirely swimmable—they’re not. The oceanfront is a massive coral reef, so counterintuitively, it makes more sense to stay inland and take a short tuk-tuk ride to Wijaya Beach or Unawatuna Beach for a swim. Moreover, at Why House the only sounds you will hear in the morning are the birds singing. If you stay in one of the hotels on the beach, keep in mind a busy main road runs behind all the sea-facing properties. You may hear the occasional horn. The Olde Empire in Kandy is a small colonial-era hotel situated just in front of the Temple of the Tooth on the other side of the road from the Queens Hotel. Its wonderfully atmospheric Empire Café serves the most delicious rice and curry, as well as other simple dishes. Murunga (drumsticks), the green beanlike fruit of the horseradish tree. Simply delicious in a curry! It’s best served in local homes and restaurants that specialize in authentic Sri Lankan cuisine. You should order in advance; any good boutique hotel could whip this dish up on request. Ministry of Crab in Colombo. The Sri Lankan lagoon crab has always been a southern Sri Lanka delicacy systematically exported to Singapore, Malaysia, and other parts of Asia. A few years back, celebrity cricketers Mahela Jayawardene and Kumar Sangakkara and fellow foodie Dharshan Munidase decided to open the Ministry of Crab, a lively restaurant situated within the old Dutch Hospital, a seventeenth-century Dutch building recently restored in the heart of Colombo. Try the chilly-garlic crab and the butter soy prawns—the last item on the prawn menu and possibly the best prawns ever. Our own trois vallees of tea! In the Tea Country the typical tourist trail usually takes you from Kandy to Nuwara Eliya and then directly south. South of the beaten track there are three beautiful valleys with manicured tea plantations and rivers flowing east to west. Two of the valleys, Agarapatana and Maskeliya, have no decent accommodation, but the third, Bogo Valley, is the home of Ceylon Tea Trails, the only Relais & Chateaux in Sri Lanka and a real hidden gem. Instead of routing through Nuwara Eliya, go through Bogo if you can, and spend a few nights at Tea Trails. While there you might like to climb Adams Peak; the starting point for the climb is over the valley across the lake from Maskeliya town. Most guidebooks will tell you to avoid Kandy or minimize your time there. One book goes as far as saying Kandy is a “fearful dump with appalling traffic.” Not so. Kandy, Sri Lanka’s second biggest city and the island’s last royal capital, is well worth at least a two-night stay, with one full day to explore. Among our favorite sights are the Royal Botanical Gardens, one of the most impressive gardens you’ll see anywhere. The collection of rare trees and flowers is even better appreciated with a botanist as your guide (which we can arrange). The sacred Temple of the Tooth, the most important Buddhist shrine in Sri Lanka, is another must-see. Then there’s Udawattakella, the pleasure gardens of a fourteenth-century king and now a protected forest reserve where Buddhist hermitages share the jungle with wild orchids and boars and a rich variety of other flora and fauna. But to make the most efficient use of your time and to get the most out of your visit to Kandy, you’ll need to plan ahead. With the right guide showing you around, you’ll hear all the wonderful stories that make Kandy—and Sri Lanka—such a fascinating place, from the quirks and idiosyncrasies of the ancient Kandyans to the history of Buddha’s tooth to tales of the early planters of coffee and tea in Sri Lanka. The Elephant Orphanage at Pinnawella is a must-do on any mainstream tour package. With the increase in human population density, changes in land use, and the recent war in Sri Lanka, elephant habitat has been considerably reduced in the past decades. As a result there are various organizations that work for the protection and welfare of elephants. The most established of them, the Elephant Orphanage, has been not just an orphanage but a nursery and captive breeding ground for elephants since 1972. Unfortunately, it has also become a very popular tourist attraction, and on any given day busloads of visitors flock around the orphanage and cram together to see baby elephants being fed at certain times. It’s simply too touristy for our liking, more so perhaps that anywhere else in Sri Lanka. Canyoning on the Kelani River. The river, which runs west from the central highlands to Colombo, has a densely forested section called Kitulgala that’s ideal for rafting and canyoning. The Laxapana Fall, one of Sri Lanka’s highest and most spectacular waterfalls, is also found on the river, and there are a few truly amazing hidden gorges to rappel, jump, and slide down. (Film buffs might recognize Kitulgala as the location of the 1957 film Bridge Over the River Kwai). Depending on which aspect of Sri Lanka you’re particularly keen to delve into, we can arrange get-togethers with all sorts of engaging local experts or connoisseurs in Galle or Colombo. For example, you might share a meal with Malik Fernando, owner and CEO of Dilmah, Sri Lanka’s premier brand and largest exporter of tea. Or camp at the borders of Yala National Park and dine in style with Noel Rodrigo, a prominent wildlife expert otherwise known as the Leopard Man. Or stroll the Royal Botanical Gardens in Peradeniya, near Kandy and stop for lunch with botanist Bandara Plipana. You can also choose to meet prominent local architects, writers, photographers—whatever tickles your fancy. Sigiriya Rock Fortress is Sri Lanka’s most impressive archeological site and the biggest visitor attraction in the Cultural Triangle. Approximately 100 meters north of Sigiriya stands Pidurangala Rock, a massive rock similar to Sigiriya in size and height. One can climb to the top of Pidurangala to contemplate Sigiriya from a distance. At sunset it’s absolutely magical, and there’s no one around. Hardly anyone climbs Pidurangala because the climb is a little tricky toward the latter part—it involves lifting yourself up over a couple of rocks. It’s not suitable for everyone, but most fit people can do it—and it’s well worth the effort. The Barefoot shops in Colombo and Galle are part boutique and part bookshop, where you’ll find the finest and most stylish fabrics in town as well as an excellent selection of books by local and international authors. Barefoot’s alfresco café also serves the best black pork curry in town. You’ll find any number of souvenirs there, but I always recommend the beautiful sarongs. The sarong is an incredibly comfortable garment and beats the track suit in style any day—and your kids will eventually get over seeing Dad wearing a “skirt” around the house (not presuming here that your mother-in-law ever will). Go for an early morning stroll around Galle Fort before the heat sets in. One of Sri Lanka’s eight UNESCO World Heritage sites, the fort was first built by the Portuguese in the sixteenth century before being extensively fortified by the Dutch in the seventeenth century. It’s a quiet maze of little streets and alleyways. We can arrange for Juliet Coombe, a resident of Galle and a travel writer, to take you on a guided walk of the area to point out all the fascinating nooks and crannies, such as the spaces in the rampart walls where, not too long ago, local families would cook their fresh fish over a wood fire. Around lunchtime, take a tuk-tuk to Why Beach, a small café in Thalpe, south of Galle, that gives access to a semi-private beach and rock pool. The owner is Italian and takes pride in serving the freshest pasta. You’ll need a reservation. In the afternoon, take another short tuk-tuk ride inland to Yatigala Temple, a quiet and little visited temple that looks out over paddy fields and hamlets. From here, take a stroll along a village road for 500 meters and you will find yourself at the door of Paddy Island. Part hotel, part café, Paddy House is a lovely spot, where you can have afternoon tea and the most delicious cake served by the owner Danielle, while looking out at the freshwater ponds built by her husband, David. You’ll need a reservation here, too. 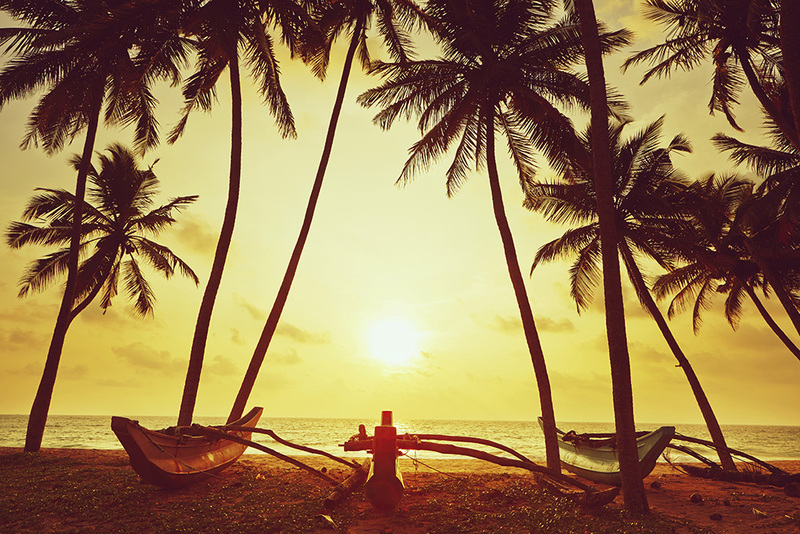 Head back to Galle for a treatment at the Aman Spa at Amangalla, and dine at the Galle Fort Hotel or the Aman itself. The last two weeks of January and the first two weeks of March. February is a very good month, but, alas, a busy one, with plenty of people coming to Sri Lanka on half-term or over the Chinese New Year from Singapore, Hong Kong, Bangkok, Dubai, and other parts of Asia. The weather in January is delightful—springlike temperatures and blue skies. As the weeks roll by, temperatures begin to rise, peaking in April. The worst time to go is anyone’s guess, because it’s simply impossible to predict the weather. There are usually two or three weeks a year—anytime between May and December—when torrential rains fall, occasionally flooding roads and provoking landslides. Late December, February, and the first two weeks of August are the busiest periods. But Sri Lanka is not a mass-tourism destination, so as long as you book early—to make sure you’re in the right hotels and are assured a good guide—and plan your days with a view to avoiding certain hot spots at critical times, you’ll be fine. If you’re booking last-minute, think twice: You may have to settle for second best. Sri Lanka looks small on a map, but it can take hours to get from place to place, and there are definite no-nos. For instance, don’t try to travel from Kandy to Yala National Park in one day, or from the Cultural Triangle to the beaches of Tangalle, or from Jaffna to Colombo. On the map (and on Google Maps), distances and approximate travel times are misleading. Sri Lanka offers great diversity and looks like you can tick all the boxes in one week—you can’t. If you want to speed things up a little, try flying on certain segments. Two local operators offer scheduled flights around the country: Cinnamon Air and Helitours. Sri Lanka has fabulous sapphires and many other precious stones, but like most places, you have to be very careful that you don’t overpay or wind up with a fake. Be mindful of guides or chauffeur-guides who insist you visit a gem shop somewhere along the way (which often happens with the cheaper tours). Always purchase gems from a reputable dealer licensed by the National Gem and Jewellery Authority and ensure you receive a certificate and a money-back guarantee. (Sri Lanka In Style provides a list of recommended and licensed shops.) The National Gem and Jewellery Authority in Colombo will also appraise gems free of charge in various locations around the country and help determine the value. YAMU is a locally produced Colombo City guide with up-to-date news and special offers from local restaurants. Most people have WhatsApp, including guides and chauffeur-guides. Should you wish to, Sri Lanka In Style can create a WhatsApp group for your trip to facilitate coordination and deliver timely and relevant messages to your smartphone. A Sinhala-English Dictionary. A few words in Sinhala go a long way. Colombo International Airport is fairly small and extremely easy to navigate. There is only one main terminal. A good way to avoid the queues both on arrival and departure is to purchase an Airport Aviation assistance package called the Silk Route. At hotels the easiest way to avoid the stresses of tipping every waiter, porter, and bellboy is not to tip anyone on the spot but instead to ask for the “tip box” when checking out. You need not feel awkward when the bellboy brings the luggage, simply say thank you and mention you will leave a tip in the tip box at the end of your stay. Always smile. A good tip is $10 to $20 per room per day. An iPod for the long drives and to block out the bus horns, and lots of tolerance and patience—Sri Lankans are laid-back folks and don’t like to be rushed.